It's going quickly. It always does, although I'd not have it any other way. 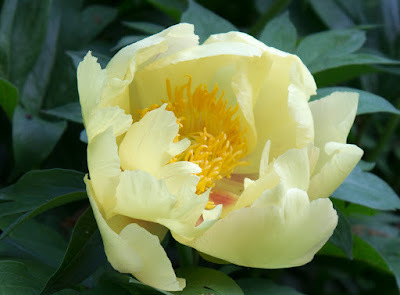 If my peonies bloomed all summer, they'd eventually seem very commonplace. 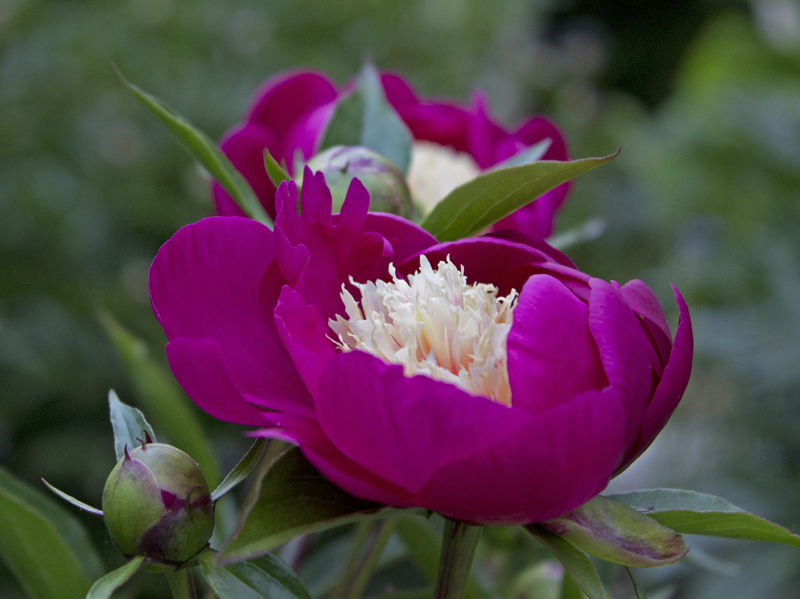 Peonies are romantic, magical, and vary year by year, sometimes day by day. 'Yellow Doodle Dandy' is a deeper yellow than 'Al's Choice'. 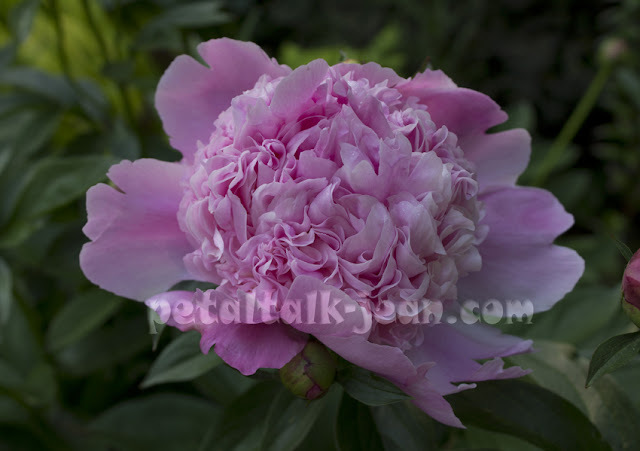 Both intersectional peonies (cross between tree peonies and herbaceous peonies), they both stand out in a field crowded by varying shades of pink. 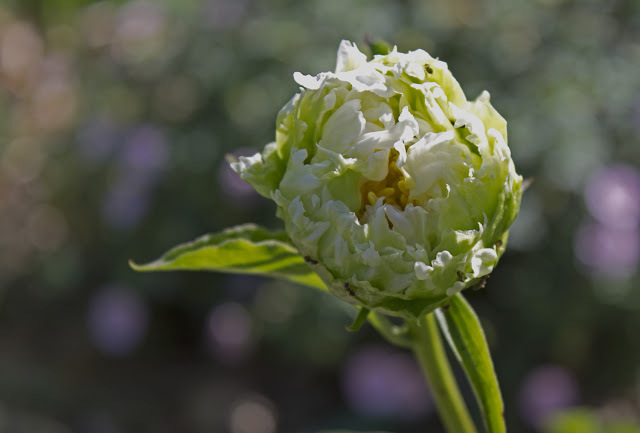 One variety I always look forward to is 'White Cap', a raspberry-colored flower with a nearly pure white tufted center. 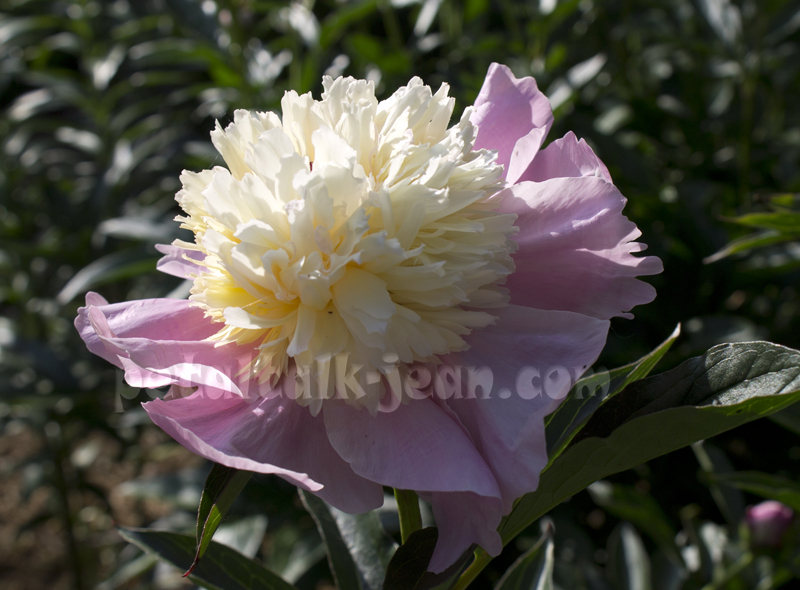 'White Cap' is my most fragrant peony. 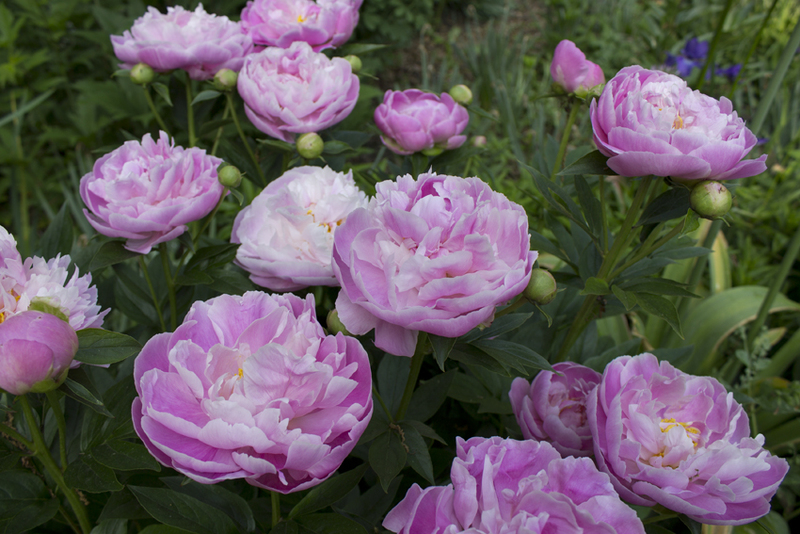 'Martha' has an unusual open-faced form that remind me of dancing pink donuts. its ant population. The third season in my garden, it's somewhat slow to establish. I love 'Dayton' for its pinked petal edges that are slightly paler than the interior color. 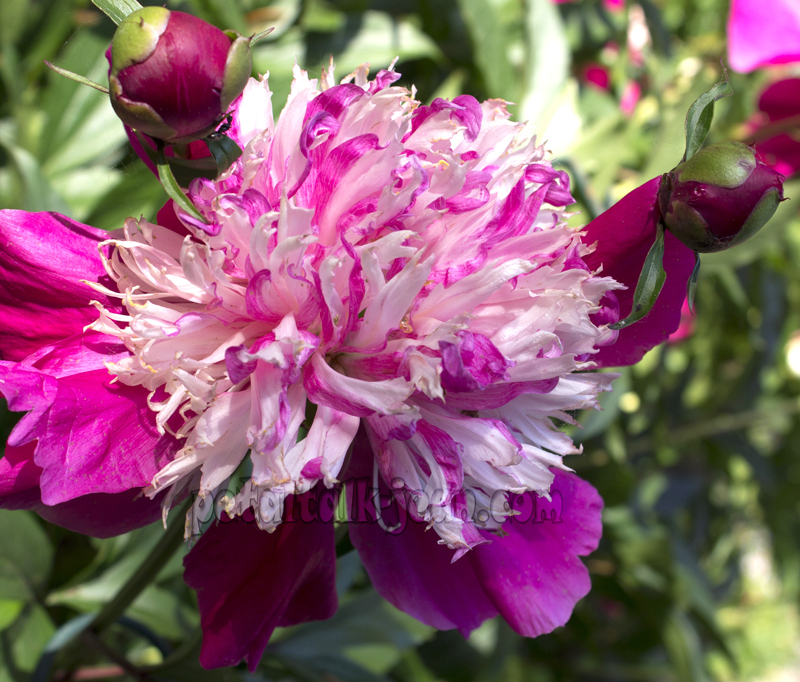 'Madame Ducel' never disappoints with its packed and curly petals in party dress pink. 'Philomele' is a very old variety with an occasional red streak in the middle of cream center petals. This Japanese form peony also is fragrant. 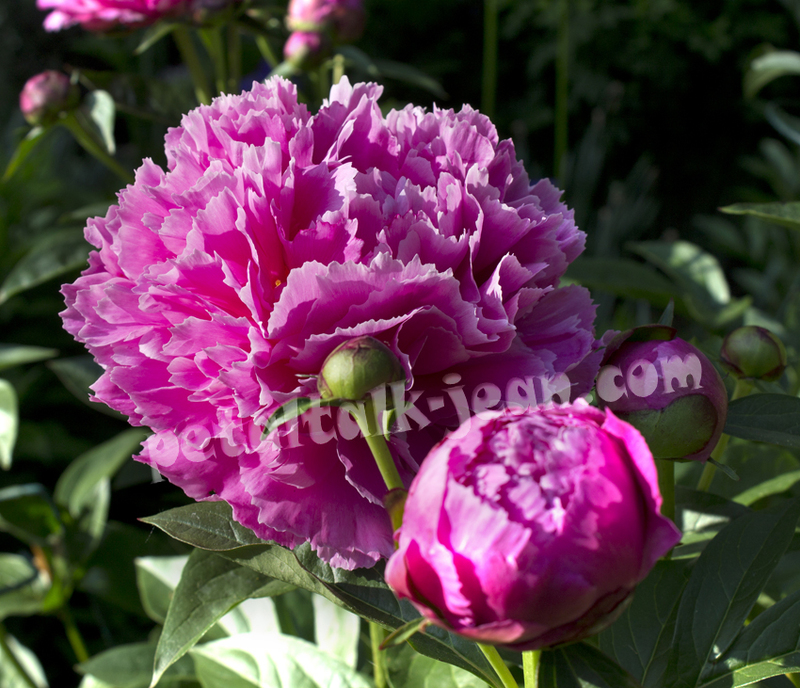 'Tom Cat' is a cheeky variety with curly, swirly confetti petals of cream and neon pink. your peonies are beautiful. I am in Zone 2b and ours are just starting to bloom. They make such a nice show. I envy yours just starting, but no matter what, it's special every year. hm. My original comment got eaten, I guess. I was waxing on about Green Halo, which is gorgeous! There is lots to wax about. I'm really liking this little rebel. 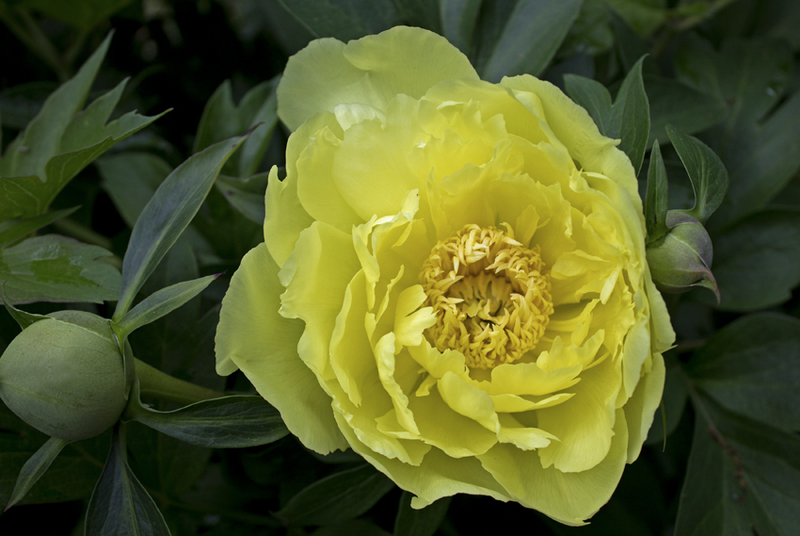 You have some scrumptious peonies.